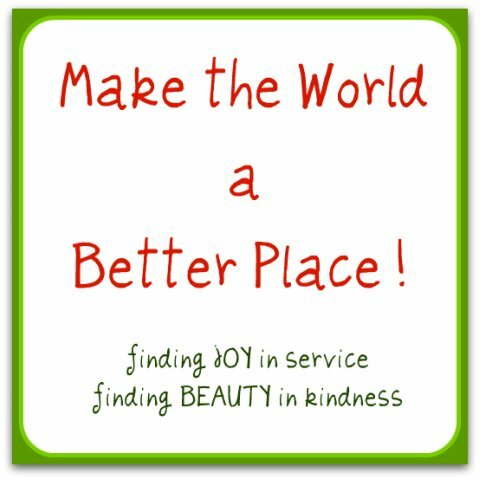 Lyric Kinard asked everyone join her in making this world a better place by doing one good thing, one act of service, every day in December. You can read more about it on her blog. 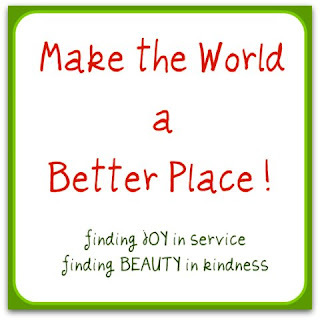 It is a great idea and, I bet if everyone focuses on this theme for a month, it will become a habit for all of 2012. Wouldn't that be great! I love that joy is spreading through these blogs and into lives...I agree with Margaret, too. Not getting attached to the fruits of our actions. Thanks, Linda and Margaret. I agree, of course. I personally would be uncomfortable with acknowledging publicly what I hope is already an ingrained habit to be kind. But, if it takes sharing those acts in a public venue like Lyric's website to get people in the habit, I am fine with that. I also appreciate that the sharing provides some great examples for people of how simple and diverse are the ways that they can be kind to others and start to feel great about their days. So you think your life is complicated?